Kenwood Plc were called out to an impressive terraced home in South West London. 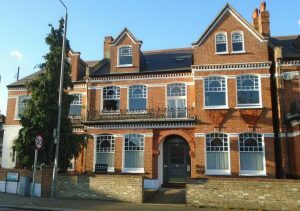 The property, built in the early 1900’s, has been converted into three flats one of which our client was purchasing. The rear reception room, hallway and kitchen areas were found to be suffering from rising damp. Additionally there were not enough airbricks to provide effective sub-floor ventilation to the rear of the home. Issues of rot and decay can occur if the sub floor is not adequately ventilated and these can be costly to treat. To prevent potential issues, Kenwood have installed airbricks at the rear to ventilate. With these and the damp proof course installed our client can move in and enjoy their new home.